When Are You Allowed to Employ an OIG Excluded Individual? Are all excluded individuals criminals? When you’re hiring a contractor or employee to provide healthcare, it’s important to your organization and your patients that you only hire the best. But how can you identify the best healthcare workers? 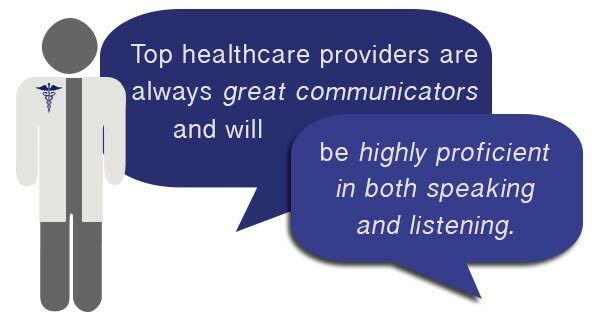 Top healthcare providers are always great communicators and will be highly proficient in both speaking and listening. They’ll be able to understand and follow instructions and solve problems as well as communicate easily with patients and families. You should also look for employees who seem emotionally stable, since healthcare can be one of the more stressful professions. Does an interviewee seem cool even under interview stress? If so, you can probably expect that attitude to transfer to their patient care. Flexibility is another sign that a potential employee can deal with stress. Healthcare professionals are often subject to unusual hours and changing responsibilities, so you need to look for candidates who can work in an unstructured environment. It’s important for potential candidates to be empathetic and compassionate. Comfort is an important part of patient care, and you want professionals who can provide that. Though much of the healthcare job is emotional and logical, there’s a physical aspect that should be considered. A good healthcare professional has to be able to stand for long periods of time and lift heavy objects (or people, in the case of patient transfers). On a more practical level, new workers should always be put through an employee verification process that includes thorough exclusion screening. A third-party employee verification process to check for OIG excluded individuals is crucial since employing such an individual can result in millions of dollars in fines. Run an employee verification process to check for OIG compliance before hiring, and run OIG screening once every month after the initial hire. Look for employees who exhibit all of these traits and you should have no problem hiring solid healthcare professionals.